First and foremost who is JC - The Truth and where do you reside? Currently I reside on Staten Island (Saint George neighborhood), a borough of New York City. 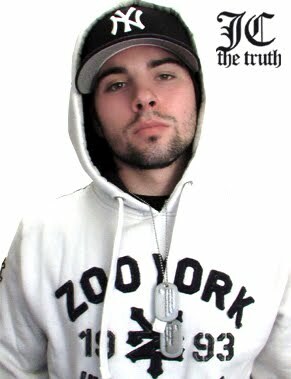 I am a lyricist, a songwriter, and above all an artist. JC - The Truth is not just a name, it is a reminder to "see the truth." It is a way of life that I strive to live by every day. Describe the hip-hop scene in your area? The hip-hop scene in my area is thriving. It started in NYC, and it lives here, so there are many artists fighting for someone to listen to their music. You can walk through Times Square and have 10 different artists hustle their mixtapes to you. The competition is no joke. 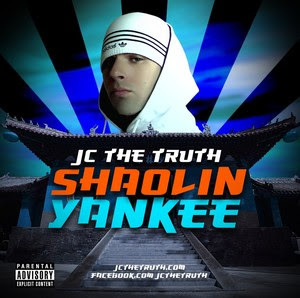 You have an album dropping called Shaolin Yankee. What did you want to present with this album? Shaolin Yankee is about who I am right now as an artist, and what my life is like living on Staten Island or as Wu Tang calls it (Shaolin). I've developed a lot as an artist and lyricist, so people will hear some different flows and creativity on this project. Who is featured on the project and do you consider yourself a perfectionist? Pimp G, Praverb, Haul, Jayles, JR, and various presenters before each track. A perfectionist? Absolutely, I am. It's like a painter who keeps going back to his work to try and make it better. That's how I feel about my music... I'm never fully content with a song, I always feel like it can be better, but if I gave into that feeling all the time, I would never finish a project. Almost 2 years. And not because I am a perfectionist, but more because I had a lot of personal goals in my life I was trying to conquer, so Shaolin Yankee had to be put on hold a few times. I believe that writing a cohesive project can be very difficult. What obstacles did you deal with in regards to writing, recording, and marketing this project? The one challenege I have when writing is bringing something different to the table on each new project. I can freestyle on a beat all day, but that's the easy way out. So I try to push myself to be fresh and new with subject matter, and at the same time stay true to who I am as an artist. My writing technique varys. Sometimes I start out with an idea, and start writing a verse. Sometimes I think of a catchy hook, and write my verses around them. It's never the same, so I don't really limit myself to one specific technique. How can the masses keep in touch with you? You can contact me through my website HERE. Download SHAOLIN YANKEE, if you don't you are missing the chance to hear REAL NEW YORK hip-hop. Hasn't it been long enough? You can also download Shaolin Yankee below by clicking the image.